The present General Conditions and Instructions for Holiday and Tour Packages shall form an integral part of the Contract or referral or voucher concluded between GO Portorož d. d.(hereinafter: GO Portorož) or an authorised agency and the Client (tourist/passenger/holidaymaker) booking a holiday or tour package. A Client may book a holiday or tour package listed by GO Portorož at any GO Portorož’ branch office or authorised agency. Upon booking, GO Portorož and the Client shall conclude aTravel Package Contract, which shall at the same time constitute a booking confirmation and contain either information on the Clients’ holiday or tour package arrangements or the reference to a holiday/tour programme/itinerary where such information is listed. Upon making a booking, a Client shall be bound to provide all information and documents required by the programme of the package in question, and pay the registration and booking fee. Should a Client fail to state correct information upon making the booking, then this Client shall bear the exclusive responsibility for any costs or consequences resulting from providing GO Portorož with incorrect information. A Client’s booking shall be binding. He/she/it shall only be able to withdraw from it in accordance with the provisions on Package Cancellation by Clients (Item VII of these General Conditions). A Contract shall be deemed valid when it has been signed by a Client, or upon making the payment, regardless of whether it has been signed or not. Upon making the booking, a Client pays a registration fee in the amount of 30% of the holiday or tour package, or the amount stated in the programme/itinerary of the tour/holiday, and the booking fee. The balance is to be paid at least 10 days prior to the start of the tour/trip/holiday or as stated in the programme. In the case when a Client or his/her/its booking agent does not pay the balance/outstanding portion of the contractual obligation, it shall be considered that the Client has terminated the Travel Package Contract; in such a case, the provisions on the Client’s withdrawal from the Travel Package Contract listed in Item VII of these General Conditions and Instructions for Holiday and Tour Packages shall apply, mutatis mutandis. The prices are defined by the program and listed in euros. The prices are valid from the date of the publication of the program .The basic price includes the services which are listed in the section „included in the price“ of the program. GO Portorož shall reserve the right to change the published prices in the case when the number of participants who applied for the tour does not reach the necessary minimum number as it is laid down in the programme. The increase of the price is calculated using the same percentage that applied to the increase in the cost of the aforementioned price calculation elements. The contracting party or Client shall be entitled to terminate the Travel Package Contract if the aforementioned increase exceeds 10% of the basic price of the package. In this case, the Client shall be entitled to a refund of the paid sum, which does not include the right to the reimbursement of any damages and potential visa, insurance, vaccination and similar expenses. GO Potrtorož is obligatet to notify the traveler about the increase of the price at the latest by 20 days before the start of the holiday or tour. – economy class), hotel and catering services stated in the programme/itinerary of the tour, and the costs of organising the tour. Unless stated otherwise in a programme/itinerary, the prices of a package are per person in double/twin bed room hotel accommodation. Special services are those service that are generally not included in the basic price of the package (single bedroom, special diet, optional trips, etc.). of time in which the cancellation was made. If a Client withdraws from a Travel Package Contract, he/she/it shall be bound to cover GO Portorož’ administrative costs in the amount of €15.00 per referral or voucher. -on the day of deprature or the beginning of the services to be provided or No-show without cancellation – 100 % of the package price. A Client may also terminate a tour or holiday when it is underway based on a written statement on termination. If a Client decides to terminate an on -going tour or holiday, then he or she shall not be entitled to any reimbursements of costs or purchase price, be it in part or in their entirety. a during an on – going tour a Client decides to change the itinerary or does not travel in accordance with the programme that is a constituent part of the Contract with GO Portorož, then it shall be considered that this Client has withdrawn from the Contract during the tour. In such a case, the Client shall however be held responsible for any costs or damages caused by his/her changes made to the programme. In the event of changes to the programme at one’s own initiative or due to force majeure, which do not involve any fault on the GO Portorož’ side due to incorrectly performed services, the Client shall not be entitled to claim any damages or price reductions. A Client or the organiser of a tour or holiday may, at a Client’s request, modify the name(s) and number of passengers, accommodation arrangements and the date of departure after the conclusion of the Contract, but only under the condition that such modification is possible without cancelling the existing package. The Client has to notify the agency about the changes at least 8 days before the starting of the travel/programme. In the cases where the costs of such modificationsare higher, especially when a package includes a chartered or regular flight, which results in costs of cancellations and changes as they are charged by the providers, GO Portorož will require the reimbursement of such actual costs borne out of the modification(s) in question. health condition or death in the immediate family (spouse, parents, children). Such a Client may only claim the reimbursement of the paid sum based on the paid cancellation cover charge upon presenting written proof of the underlying reason. The amount of the cancellation cover charge is 5,5% of the package price. A particular programme might specify another amount of the cancellation cover charge or state that such payment is not possible. If a Client does not start the tour or holiday on the date scheduled as the beginning of the tour or holiday and fails to cancel the booked package prior to its beginning, he or she shall not be entitled to claim the refund of the payments based on the paid cancellation cover charge. of the tour/holiday. Such force majeure events should be documented by valid official records and of the type that could in no way have been foreseen or avoided before the conclusion of the Contract. In the case where a Client takes out an insurance policy against the risk of cancelling a travel package with one of the insurance policies, the Client shall claim his or her rights arising from the cancellation risk insurance from the insurance company in question, whereby the general operating conditions of that insurance company shall apply. The damage claim procedure and the time needed to resolve the damage claim shall be in the exclusive domain of the insurance company that insured the cancellation risk. GO Portorož shall reserve the right to change the date and time of departure or to cancel a tour due to a change in flight schedules or the occurrence of a force majeure scenario, and the right to change the direction of travel if travelling conditions change (new schedule, precarious situation in the country where the programme is to take place, natural disasters or other unforeseeable reasons that GO Portorož cannot influence in any way), without any special compensation and in accordance with the rules that apply to passenger traffic. GO Portorož shall not assume any responsibility for changes to its programmes due to the occurrence of any force majeure event during the implementation of the programme. In such cases, it may provide its Clients with services in a modified form in accordance with the possibilities at hand. GO Portorož shall not be held liable for any delays of flights, boats or trains, nor for any changes to the programme that would result from such delays. GO Portorož reserves the right to a total or partial termination of the Contract if before or during the implementation of the programme exceptional circumstances occur that could not have been expected, overcome or avoided, with such circumstances presenting a justified reason preventing GO Portorož from concluding the Contract had they existed at the time of the Contract being concluded. GO Portorož shall reserve the right to cancel a tour if the number of participants who applied for the tour does not reach the necessary minimum number as it is laid down in the programme. GO Portorož is obliged to notify the Clients about the cancellation at the latest 7 (seven) days before the beginning of the program or or 2 days prior departure. If GO Portorož cancels a tour or holiday, then Clients shall be entitled to a full reimbursement of the paid package price. However, if GO Portorož cancels a tour or holiday, this does not entitle Clients to any refunds of the costs of visas needed for the entry into the country where the cancelled programme was to take place, or the costs of any vaccinations that the programme required. receive any refunds of administrative costs and the fees of insurance taken out with an insurance company. Slovenia and Croatia using own transportation will not be drafted as all necessary information is provided in the programme of the trip or holiday. Clients are bound to obtain information on the regulations regarding passports, visas, foreign currency, customs and health that are in force. Clients shall also be bound to make sure that they personally, their documents and luggage meet the conditions set out in the border customs, health and other regulations of their country of origin as well of the country/countries to which or through which they will be travelling. ordance with such provisions, therefore GO Portorož shall not be held accountable for any potential inconveniences or forced suspension of Clients who fail to comply with the above. Accommodation listed in programmes is rated in accordance with the official national categorisation of each destination country as it stands at the time of the programme being issued, therefore the organiser cannot affect it in any way. The standards of travel and tourism offers between various selected destinations differ and are therefore not comparable. Categorization was not carried out by GO Portorož and therfore cannot be held responsible for it. of the country to be entered or the requirements of the programme he or she booked, nor for any costs related to the above. Luggage transportation is not the responsibility of the organiser or the agent, therefore they will not be held accountable for any destroyed or lost luggage not for any theft of the luggage and/or other valuables at the hotel. Clients should address any claims regarding destroyed or lost luggage directly to the transportation company, hotel or other direct service provider. For the transportation of special equipment such as bicycles, surfboards, gold equipment and the like, Clients shall be required to pay a supplement to the airline, usually just before departure at the airport. In any event, the transportation of such equipment should always be announced upon making the booking, and the airline reserves the right to refuse the transportation of such equipment due to restrictions in its carrying capacities. Any costs damage resulting from such refusal shall be borne by the Client. The transportation of luggage up to a certain weight set by the provider is free of charge. In the event of air travel, a Client shall be entitled to free transportation of a luggage of a certain weight (depending on the airline’s policy) and the Client shall pay a supplement for each kilogram of excess weight at the spot in the appropriate currency or in accordance with the airline’s policy. Children aged up to two years shall not have the right to free luggage transportation. ould procure new documents at his or her own costs. In order to arrange the related formalities, the Client may turn for advice and assistance to the tour leader or GO Portorož representative or to the representative of the organiser of the tour or holiday thatthe Client is taking part in. In the event of a Client having to interrupt the tour or holiday due to the loss or theft of essential documents, he or she shall not be eligible to receive any refunds of the paid tour or holiday package price or related expenses. The information given to Clients at the booking point of sale do not put GO Portorož under an obligation greater than that laid down in the programme or offer. When in doubt, the following shall be considered valid: written offer, written information, or written explanation. 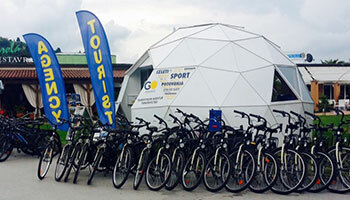 Clients are expected to complain about any irregularities or shortcomings at the destination and address them to the tour leader, GO Portorož’ representative or the representative of the tour/holiday organiser organising the Clients’ tour or holiday package, directly to the actual provider of services or to the authorised local agency. In the case where a complaint, judging from its nature, could have been solved at the destination (such as insufficient cleanliness of a room, equipment, position of the room, etc. ), and the Client failed to complain about the defect at the location, failing to inform thereof the abovementioned persons, it shall be considered that the Client agreed to the service provided in such a manner, thereby forfeiting the right to make any later claims and to demand a reduced price of the service or the payment of damage compensation. GO Portorož shall not consider any complaint that the Client did not support by attaching a report on the complaint drafted by a representativeof the organiser or service provider, proving that the complaint could not have been resolved at the spot. A complaint must be justified. Clients should therefore attach to it appropriate evidence and/or appropriate confirmation from the hotel, transport provider or any other relevant person regarding the actual state of affairs, based on which the Client is making his/her claim. The maximum damage compensation due to a service not being performed in full or correctly shall be limited to the amount paid for it. Clients shall be entitled to compensation on the amount of the real value of the services not provided. This provision does not apply in the case where GO Portorož is entitled to cancel a package or modify a programme.This limitation of responsibility shall apply to all tours or holidays for which a Travel Package Contract has been concluded. Clients shall not be entitled to receive any compensation for any loss of profit, and to the compensation of any damage and the refund of any costs resultingfrom such damage. GO Portorož shall protect all data provided to it in accordance with the Personal Data Protection Act (Official Gazette of the Republic of Slovenia, No. 94/2007-UPB-1, hereinafter: ZVOP-1).It shall be considered that by signing the Contract, pursuant to Paragraph 2 of Article 10 of the ZVOP-1, the Client has granted the authorisation to process personal data for the purpose of concluding and implementing the Contract. By accepting these General Conditions, the Client at the same time grants the authorisation to GO Portorož to forward personal data to authorised third persons, and agrees that the Client’s personal data can be used for the following purposes: direct marketing, performing business operation analyses, client segmentation, statistical processing and providing information of the GO Portorož’ offer and the offer of its business partners. Should a Client wish to withhold such an authorisation, he or she may express this decision upon making the booking of the tour or holiday package.